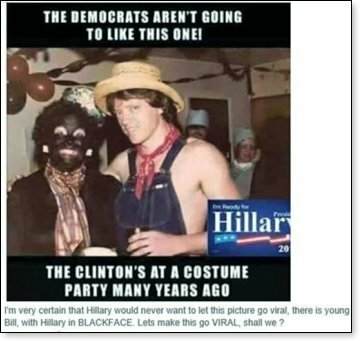 A photo presumably taken at a costume party years ago shows Bill Clinton as a simple farm boy and Hillary in black face. When the photo of a Republican in blackface shows up, no matter what the occasion, the leftists immediately move to kick that person out of political office and ruin their lives. Then they encourage the public to shame him or her continuously by harassing them in their homes and in restaurants while the George Soros newspapers continue to pound them. As long as the 'offender' is a Republican. So even if Hillary did pose in blackface, all demoncrats get a pass. There would be nothing said. There were several minstrel stars, including Skeets Mayo from Nashville, Sllim Williams, and Happy Kellems who was also a great circus clown. There were dozens of these stars who drew people into the theaters. 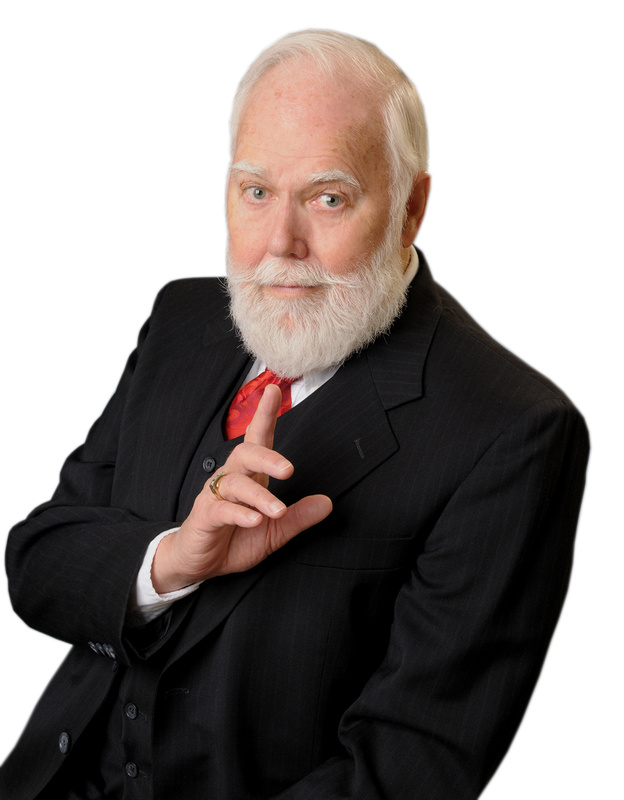 With Happy's expressions and buck teeth (He would say he was the only one in the world who could eat an apple through a picket fence), he was absolutely hilarious and actually did a stint on Broadway. Years ago they had several minstrel shows touring the country to packed houses. The theater had a big section for black people which was always filled. And they laughed louder than anyone. THEN, the Communists began to cause dissension and controversy claiming that the shows degraded blacks and ridiculed them which was totally false. But causing conflict between blacks and whites would help the leftists weaken our country. They basically wanted to turn all people against others.And their publicized goal was to shut down minstrel shows. The NAACP that the Communists had gotten their fingers into long ago, worked with the Democrats and the newspapers to stir up the public against the shows with the goal to shut them down which is an exhibition of power, another reason the DemRatCommunists use this method...to demonstrate power.